Have you ever been in a situation where you know your destination but can’t find your way? It happens to me with almost predictable regularity. In fact, I’ve been lost in nearly every big city I’ve ever visited. Just ask my wife. In these moments of dislocation and disorientation, we need two things for our journey to be a success: a map and someone to show us where we are in relation to our final destination. When you come right down to it, then, I suppose we usually need a third thing as well. Especially men. When our journey has been reduced to an ineffective mix of hunches and guesswork, we need to admit that we’re lost and need help! Following Jesus is also a journey, and one with a clear, inspiring destination. According to Scripture, we are predestined to be conformed to the image of Christ (Romans 8:29). To be holy. Most Christians realize this and desire it. But we often feel disoriented in the midst of our journey. Though we know where we should be going, it can seem like we’ve lost our way. · How do my current struggles with sin affect my standing with God? · What practical steps must I take to deal with sin and nurture spiritual growth? · What should I expect as I pursue change? · How do I measure progress? · And how do other aspects of my life – my longings for happiness, my personal disciplines and habits, my sufferings and trials, and my relationships with other people – fit into all this? · Some put so much emphasis on having correct doctrine that the heart and affections get left behind in an overly intellectual approach to discipleship. · Others so heavily emphasize inward piety and the importance of spiritual experience that they effectively replace joyful faith in Christ with an unhealthy and myopic introspection. · Some neglect the work of the Holy Spirit altogether, leaving Christians with the impression that being holy is wholly dependent on moral effort and self-discipline. · Still others put so much focus on the Spirit that believers wrongly view the Christian life as nothing more than a passive acquiescence to the Spirit’s work. · The content of the gospel – unfolding what God has done for us in the cross and resurrection of Christ. · The application of the gospel – discussing the implications of the cross for daily life. · The priority of holiness and the necessity of mortifying sin – explaining what holiness is and how putting sin to death is an essential and ongoing responsibility in any Christian’s life. · The motivating power in Christian spirituality – describing the inner dynamics of grace and joy in helping us glorify God through the pursuit of holiness. · The nature and means of spiritual transformation – explaining how people grow spiritually through the use of various methods (such as meditation and prayer). · The role of suffering in spiritual growth – encouraging us to embrace trials as one of God’s means of changing us. · The importance of community in our discipleship – reminding us that we need others to help us in our journey to Christlikeness. I have been greatly helped by many of these books, authored by contemporary theologians and pastors such as J. I. Packer, John Piper, Sinclair Ferguson, Tim Keller, C. J. Mahaney, Don Carson, Paul Tripp, Jerry Bridges, and Don Whitney; as well as classic books on spirituality from previous generations written by great stalwarts of the faith such as Saint Augustine, John Calvin, John Bunyan, Jonathan Edwards, John Owen, Charles Spurgeon, Martyn Lloyd-Jones, John Stott, and C. S. Lewis. As I’ve read from these authors over the past fifteen years, different pieces of the puzzle have slowly come together, giving shape to a larger vision of what the gospel is about and how it connects to the various dimensions of my spiritual life. My purpose in this book is to bring these pieces together, presenting a single, unified, gospel-centered vision of how to understand and live the Christian life. · Part One focuses on the foundations for personal change. We will look at God’s ultimate goal in transforming us (Chapter One); the key to transformation, which is the gospel itself (Chapter Two); and the application of the gospel to our lives in three specific ways (Chapters Three, Four, and Five). · Part Two then takes up the pattern of personal change. We will explore the captivating beauty of gospel holiness (Chapter Six); with its demands that we both kill sin (Chapter Seven); and grow in grace by the power of the Spirit (Chapter Eight); and the quest for joy that motivates us in this pursuit and strengthens us in the battle for holiness (Chapter Nine). · Part Three of the book focuses on the means of personal change, the tools God uses to transform us. These final three chapters, while building on the foundation of the gospel discussed earlier in the book, are the most practical. We will learn how God uses spiritual disciplines (Chapter Ten); suffering (Chapter Eleven); and personal relationships in the body of Christ (Chapter Twelve) to conform us to the image of Christ. 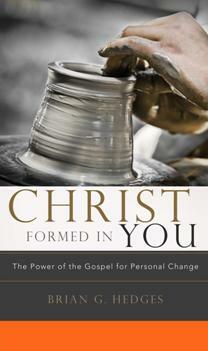 This explains what I mean by the subtitle of this book: The Power of the Gospel for Personal Change. The seventeenth-century English Congregationalist pastor and theologian John Owen put it well in a sentence that summarizes the entire thrust of my book. He said, “Holiness is nothing but the implanting, writing, and realizing of the gospel in our souls.” [iv] His treatises on the glory of Christ, the work of the Holy Spirit, communion with God, the nature of indwelling sin, temptation, and the mortification of sin provided a road map for pursuing gospel-driven holiness. [i] Dietrich Bonhoeffer, The Cost of Discipleship (New York, NY: Collier Books, Macmillan Publishing Company, 1963 Revised Edition) 47. [ii] Timothy Keller, “The Centrality of the Gospel,” Redeemer Presbyterian Church of New York City. Available online at: http://download.redeemer.com/pdf/learn/resources/Centrality_of_the_Gospel-Keller.pdf. Accessed February 16, 2010. [iv] John Owen, A Discourse Concerning the Holy Spirit, in William H. Gould, ed., The Works of John Owen, vol. 3 (Carlisle, PA: The Banner of Truth Trust, 1967 reprint of 1850-53 edition) 370-371.